Over the past couple of weeks, I’ve been putting together beginners guide to homebrewing. It’s the ebook that I wish I had when I was first getting into making my own beer. 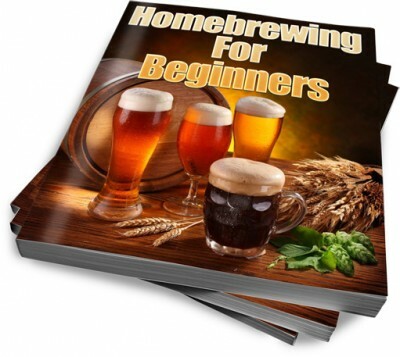 Homebrewing For Beginners is a simple, to the point guide to making beer for the first time, written in plain English with only the information that a new brewer will need to get started. Homebrewing For Beginners is a compilation of some of the best, most useful posts from the past year and a whole lot of other writing, to make sure that a new homebrewer gets all of the right equipment and makes it through the first brewing day without a nervous breakdown caused by information overload. I would like to share a couple of copies of this ebook before it goes on sale, as a way to say thank you to everyone that’s been checking out this blog for the past year and to get some early feedback about it. If you’re interested in a copy, let me know why you’d like a copy in the comments below. Two people will be chosen at random to receive a free copy of the ebook before anyone else can get it. Winners will be selected Friday, Feb 3rd at noon EST, (so make sure you have your entry in before then) and will have a copy emailed to them shortly after that. Stay tuned to Facebook and Twitter for more details about the Homebrewing For Beginners project. Next article Fresh Brews: Cooking with Beer, Beer In History And A Whole Lot More!